Read about the incredible journeys that include conception, IVF, and stepparenting from nine dads who say their kids are their worlds. Father's Day has rolled around once more, offering the transgender dads of the world another chance revel in what makes their parenting journeys special. The Advocate asked self-identified trans fathers — which includes both trans men and trans women — to share a photo of themselves and their loved ones, with an anecdote about what parenthood means to them. The responses reveal a beautiful array of family shapes, values, and hopes from these fathers and fathers-to-be. Below, meet nine dads, including Chad, a trans man who loves taking his baby to pride parades; Tiq, a thrilled expectant father; Jane, who's grown closer to her family through transition; and Wyatt, a dad who never expected to give birth but is now both a birth and stepfather, looking forward to bringing a third child into the world with his wife. "For me, fatherhood is an intentional rite of passage that has already begun, even though we’re just at the end of the first trimester. My wife and I had been trying very hard to have a child over this last year. We wanted to bring our child into the world in a way that was safest and healthiest for us, which meant circumventing medical clinics and fertility treatments. We had a few confidential conversations with other queer and trans families who’d also chosen a similar route, but we negotiated the support of a donor and the conception of our child on our own. I already feel the weight of responsibility for our growing family as we begin rearranging our lives and putting in place a support network to ensure this kid’s arrival is happy and healthy. "I struggled a lot with the idea of fatherhood as I transitioned. Was I giving up my role as father? What would my kids call me? After a while it occurred to me that regardless of the clothes I wore or medicines I took or surgeries I had, that I would always be their father. I would always be the one who played tickle-monster with them, who chided them for not doing as well in school as I thought they could do, and who gave them fatherly advice. 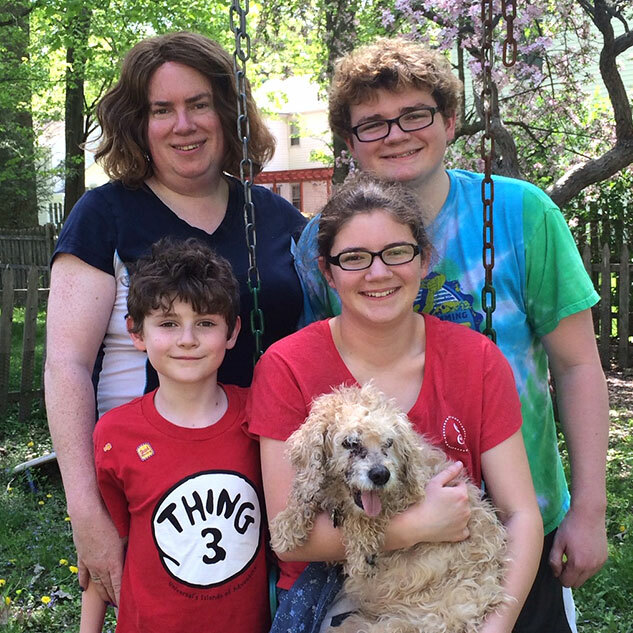 "I discovered that I was pregnant and began my life as a queer solo parent when I was still just a teenager. I always knew that I wanted to have children and I had never wanted to give birth to them, but I went with the experience all the same. ... [Then] I fell in love with one of the best single moms I knew, and I married her and became a father to a second child. My children are 12 and 9 now, and along with my wife, they are my world. My wife and I are in the process of trying to conceive a third child and we are so in love with the intention of it all. “I love being a trans father. My son is only 10 months old and I’m already teaching him to be an LGBT activist. I bring him with me when I educate students about gender identity. Having him there helps show the students that transgender people are capable of raising children in loving families. My wife and I also walked in the Long Beach Pride Parade with him for the first time this year. 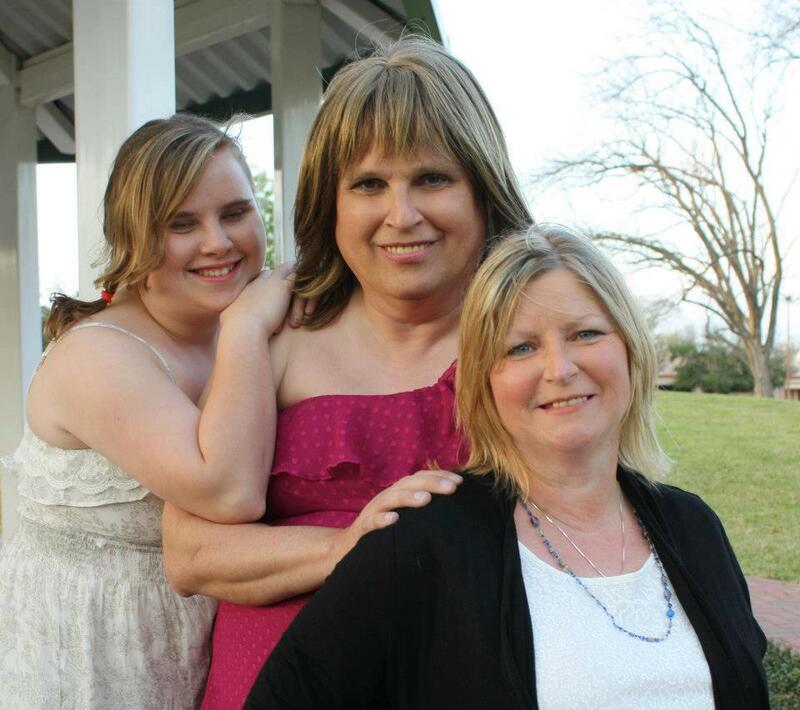 I love these special occasions when I can show off my family while being open about my gender identity. As my son grows up, he will have heard the story of my transition several times. It is my hope to teach him about gender equality and diversity so that he becomes an open-minded adult.” — Chad, Long Beach, Calif.
"I am proud to claim the title of Dad to Aimee, even though I am transgender and identify as female. 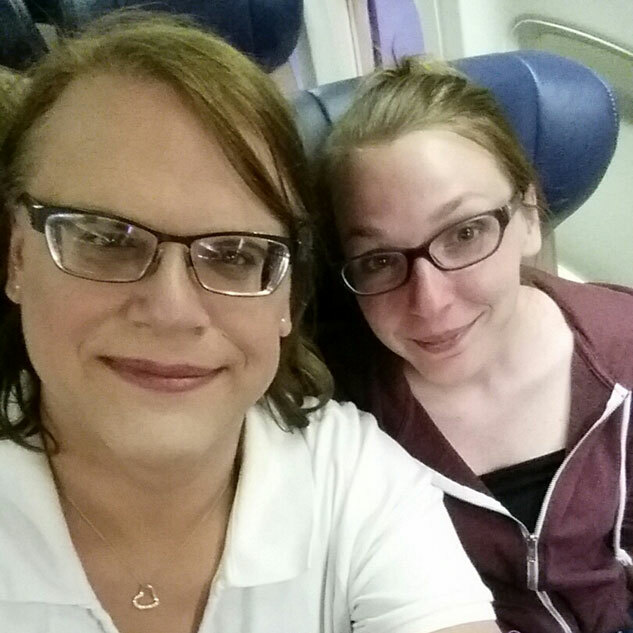 Aimee (pictured above, left) is the most kind, loving, supportive, and accepting daughter that a person could have. She has stood up for transgender issues at her Catholic school and has even said that if she is dating a boy who has a problem with her dad being trans, he will have to either accept me or lose her. I couldn't be more proud of the person that she has become.